If you’re dealing with issues related to family law, such as child custody, divorce, child support, or other such challenges that involve the courts, the family law attorneys at Lucas Law, PLLC, in Gilford, New Hampshire, are ready to serve you. Our family law attorneys Meredith NH possess the experience, knowledge, and skills required to address question, problem, or dispute that is connected to this legal area. Family law covers a wide range of topics and often demands that your legal representative be tenacious in ensuring that you are successful in achieving your goals. 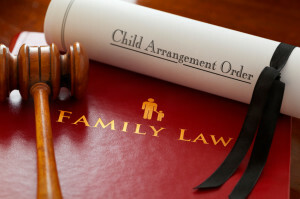 Family law issues and topics include those connected to marriage and divorce, as well as concerns related to child abuse and neglect and paternity. If you are dealing with any type of family law charge, challenge, or dispute, it is important to contact a lawyer immediately. Family law issues are of the utmost importance. Legal Separation and Divorce: Legal separation and divorce concern the dissolution of a marriage. In pursuing either, a couple is often attempting to focus on starting new lives separate from one another. Legal separation involves all aspects of divorce except one. When a couple is legally separated they may not remarry. Divorced couples may remarry. In both instances, property is divided and debts are settled. Alimony: Alimony issues are a concern to those spouses who believe that they have a right to such or to those who may have to pay spousal support. There are various criteria used to determine if alimony will have to be paid in a divorce. Alimony is never automatically paid to either spouse. Determining Paternity: Issues related to paternity are of a concern to mothers as well as children and potential fathers. Paternity is determined through DNA testing and can be used to establish child support responsibilities, custody and visitation rights, and other areas of the law. Mediation: One option that couples have when they are considering a divorce is to engage in mediation. Mediation is used to help those who are about to divorce deal with specific issues such as the division of property, child support payments, child custody, and other possible areas of conflict. Child Abuse and Neglect: There are times when charges related to child abuse or neglect may be made in associated with divorce proceedings or such charges may not be made in connection with such. Child abuse may be charged if one harms a child in a manner that involves subjecting a child to physical, psychological, and/or emotional damage. Child neglect is related to a responsible party not providing for or withholding from a child necessary amounts of food, medicine, shelter, or medical care. Domestic Violence: When someone commits an act of domestic violence on another person, they may be arrested and jailed. Domestic violence specifically relates to one adult physically harming another. Adoption: Engaging in the process of adoption can be extremely stressful, costly and time-consuming. Couples who do wish to adopt are deeply committed to starting a family, but they must also deal with complex legal challenges. If you are involved in any type of family law case and need legal representation, contact Lucas Law, PLLC offices in Gilford, Rochester, Meredith and throughout New Hampshire or Call at (603) 581-7102. Our experienced and knowledgeable team of veteran family law attorneys NH is ready to represent you. We will be aggressive in fighting for your rights and in ensuring that you are afforded every benefit of the law.